On Jan. 26, Amanda Chidwick, a second year criminal justice student, was the victim of car theft. Sometime between 9:15 a.m. and 3:45 p.m., her four door sixth generation (2000) Honda Civic was taken from Bethany Chapel, just off of Richardson’s Way SW, close to MRU’s west gate. At first Chidwick assumed she had forgotten the location of the parked car. “I thought it was all in my head, I’m sure I parked here,” she said. Shortly after discovering her vehicle was missing, Chidwick went inside the church to inquire if her car had been towed. When she spoke with administration they informed Chidwick that they weren’t aware of any tow trucks being called in that day. She immediately notified the police and filed a report to her insurance provider. According to the Insurance Bureau of Canada, sixth generation Honda Civics are some of the most commonly stolen vehicles in Canada. 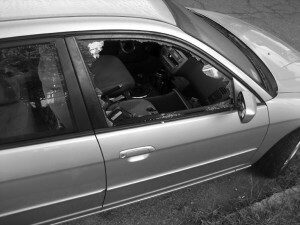 In 2014, the Honda Civic two door coupe/Civic Sir two door placed sixth and ninth on their yearly top 10 vehicular theft list. The theft has made Chidwick’s ability to work as a crisis on-call support worker difficult. She is dependent on her vehicle to transport at-risk youth throughout the city. Working for Pathways CSA Calgary, she responds to calls dealing with anything from hospital visits to juvenile apprehension for the city’s youth. Chidwick said she’s hopeful that insurance will be able to cover the costs for a replacement vehicle and the company property that was inside the vehicle at the time of theft. Gerry McHugh, the parking and transportation services manager at Mount Royal, says that students should always report any suspicious activity, whether on or off campus and to contact the authorities. “The person who went by there, might go by again,” he said. Adding that, while it’s common knowledge to keep goods out of view, drivers tend to leave small items in plain sight and even small change might seem alluring to potential thieves. “Keep it out of sight, don’t give anyone the opportunity or the idea,” McHugh said. On Feb. 3 Chidwick was contacted by personnel from Bethany’s Chapel informing her that another vehicle theft had taken place, but quickly returned with the ignition system damaged. Currently, the Bethany Chapel area does not have a security installation in place. When contacted for an interview, the pastor would not respond. Next story How cold is too cold?